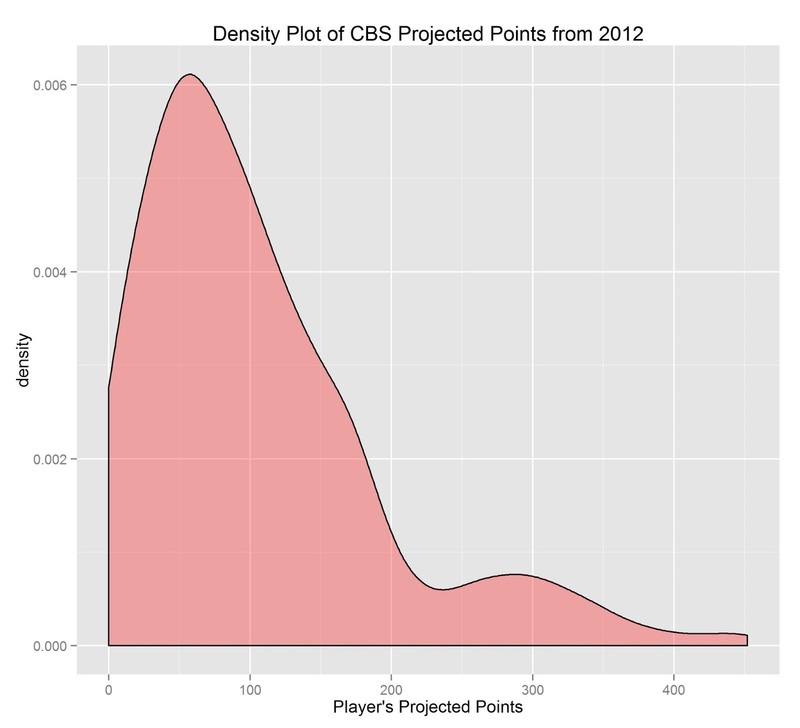 In this post, I will show how to download CBS fantasy football projections using R.
In my next post, I will show how to download NFL.com fantasy football projections using R.
Hey Isaac. I am completely novice to R and programming. I have wanted to create my own fantasy football software so that I can play with different aspects of game play. I have a couple of computer science buddies to build the software but I am wondering about where to pull the data from. This post shows how to pull the data for projections. What I will need is real time data during games to pull data from what is happening. Do you have any idea where CBS, ESPN, etc. get their data? So Julio catches a pass and everyone’s league stats are automatically updated. Are they all pulling from a common source? Thanks so much. A lot of the bigger companies use Stats LLC or a similar provider but that type of data is out of our scope at this point.